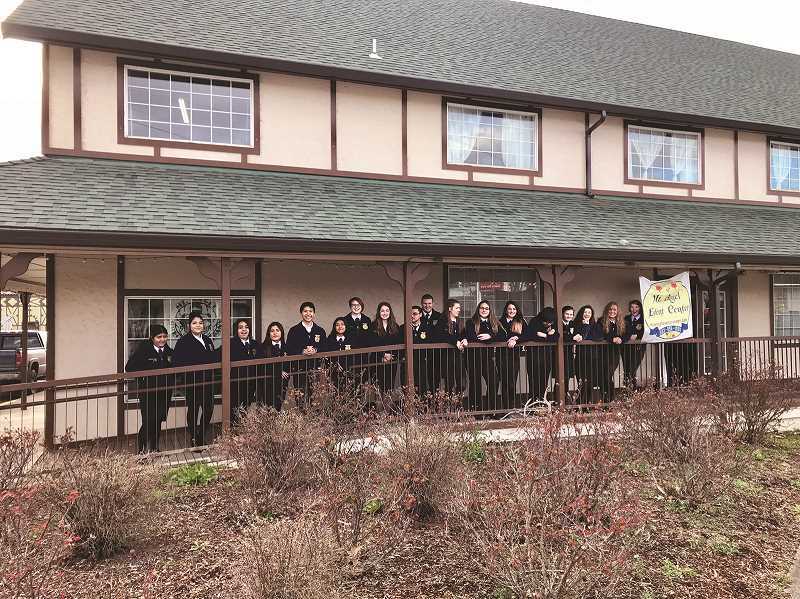 After spending the last two years fundraising to complete the livestock barn south of Gervais High School, the FFA program is ready to focus on the other side of agriculture in 2019 — horticulture. This year's eighth annual Friends of Gervais FFA Alumni Live Auction & Social in February comes with catchy theme: Grow Our Greenhouse. "Every year they pick something that to focus on, and we fundraise for that," Gervais FFA Advisor Megan Dilson said. After the FFA program opened the barn to full use in 2018, organizers wanted to turn their attention to the school district's greenhouse located just south of the high school and give it the same treatment. "What we're going to try to do is cement the flooring for the greenhouse and make it more handicap accessible," Dilson said. In addition to upgrading the flooring, Dilson is hoping there will be enough money from the auction to install drip irrigation and complete a few minor projects for the barn, such as a wash rack installed for the sink. 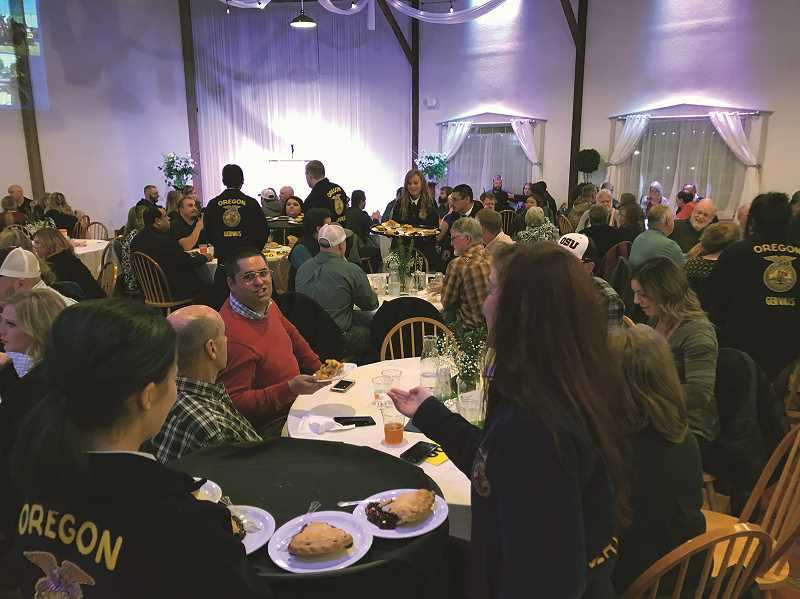 The auction has served as the FFA program's primary fundraiser for nearly a decade, bringing in nearly $30,000 last year as donors, alumni members and local agricultural business leaders seek to support the school district's CTE programs. "We couldn't do it without our sponors and companies willing to donate their time," Dilson said. "We have big companies like Knife River, Datavision, Fiber Fab, Ace Chemical Toilets and Industrial Welding Supply." Some companies support the program by attending the auction. Others like Wilco and Coastal support the program by donating items and services to the event so the FFA program can auction them off to the highest bidder. Many companies do both. "It's great to see them come together, because it's great to see them see the outcome," Dilson said. "These are tangible things that they can come out and look at and see where their money is going to." But outside of the sheer financial impact that the FFA program sees from its annual auction, it also serves as an important social engagement where donors can meet and interact with the next class of students who are pursuing an education in agriculture. "We've turned it more into not only an auction, but a social where we're having a good time with companies and people coming out to support our alumni," Dilson said. 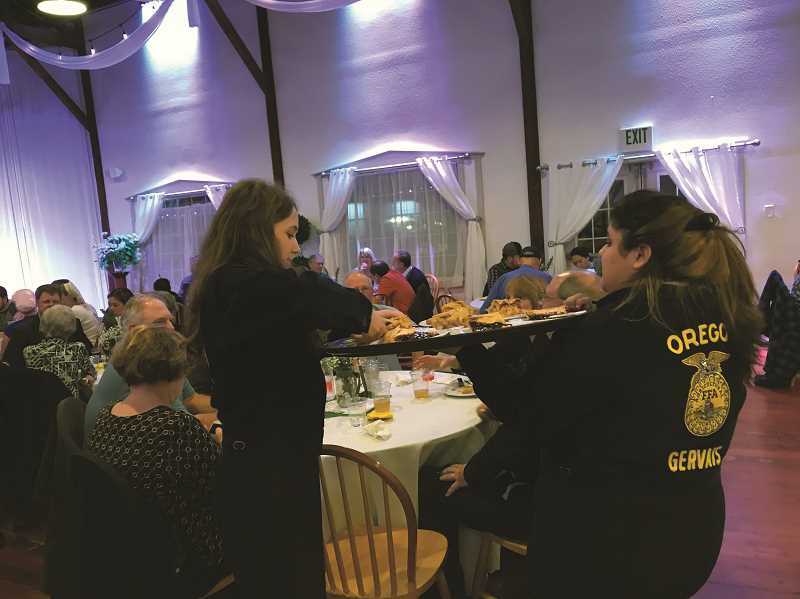 The Gervais FFA students serve a variety of roles at the event — hosting, cleaning, socializing and networking. In total there will be between 25 to 30 students making the rounds at the auction, which continues to grow each year, forcing organizers to seek larger confines as the event grows in popularity. And as the event grows, so too does the demand for more auction items. With the event a month away, Dilson is welcoming any donations from goods to services — all of which are tax deductible. This year's event will be hosted on Feb. 23 at the Mount Angel Event Center located at 210 Monroe St. in Mount Angel. The festivities kick off with an open bar at 5 p.m. featuring wine, beer and cider. Dinner follows at 6:30 p.m., with catering from Wooden Nickel in Silverton returning due to popular demand. The auction program at 7 p.m. concludes the evening. Tickets are $65 per person or $500 for a table of eight. "We're just making sure people know we're doing this for the kids," Dilson said. "We're hoping to get more people involved as we keep growing."